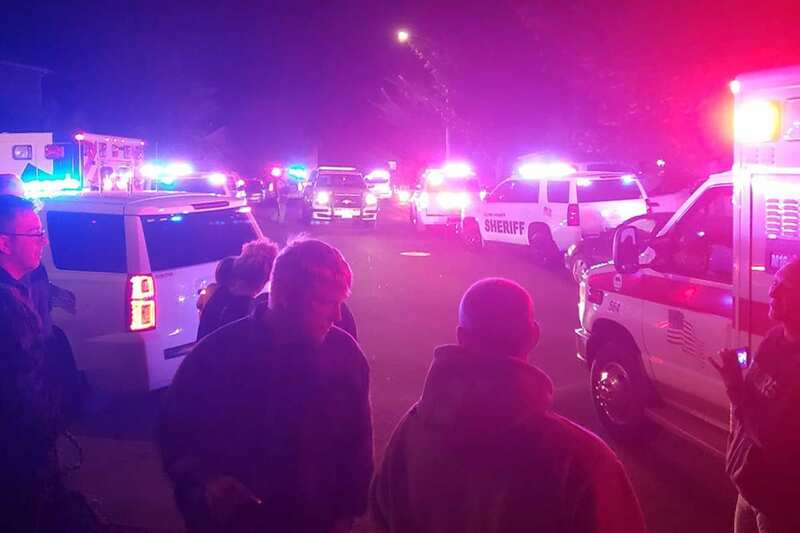 HAZEL DELL — A hit-and-run investigation in the Felida area led to a Clark County deputy shooting at a suspect on Monday night in Hazel Dell. A release from the Clark County Sheriff’s Office says deputies were responding to the hit and run at 11:50pm, when they located a suspect vehicle and gave chase. The suspect exited his vehicle and fled on foot. While deputies were apprehending the suspect, identified as Christopher Franklin Rollins, one deputy fired a shot. Clark County Sheriff’s Sergeant Brent Waddell confirms to ClarkCountyToday.com that the suspect did not fire on deputies, and was not shot in the incident. Rollins was transported to a nearby hospital, treated for his injuries, and then booked into the Clark County Jail on charges including third-degree theft, attempt to elude, first-degree criminal impersonation, and hit and run. The sheriff’s office says he also had outstanding warrants. The injuries Rollins sustained were reportedly from the crash, and bites from a K-9 officer during his arrest. Neighbors online said that Rollins was fighting with deputies prior to his arrest. The deputy who fired his weapon was also treated for minor injuries and released. He is on critical incident leave per department policy. His K-9 partner did not appear to be hurt, but is being checked out. The Regional Major Crimes team, along with Vancouver Police, are leading the ongoing investigation.